One of the best parts of summer is having an abundance of fresh food from the garden and farmers market. But that abundance can also cause stress at the height of the season when you have a bounty of beautiful, perfectly ripe garden produce that needs to be dealt with immediately before it goes to waste. If you don’t have time or the inclination to go to the trouble of canning your surplus foods, there are some relatively quick and easy things you can do that require no special equipment. Try some of these ideas and then enjoy your summer delights on cold winter days. 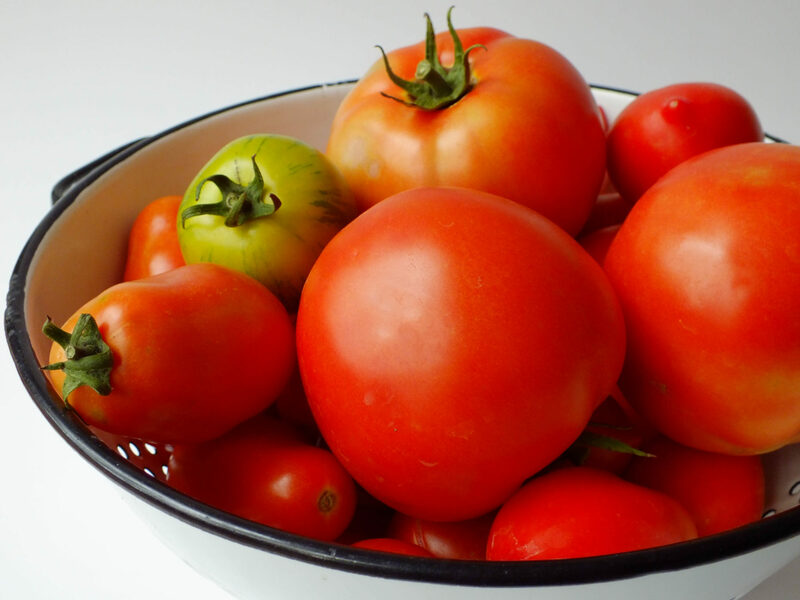 Frozen tomatoes are not as good as canned tomatoes, but freezing is still a viable option. 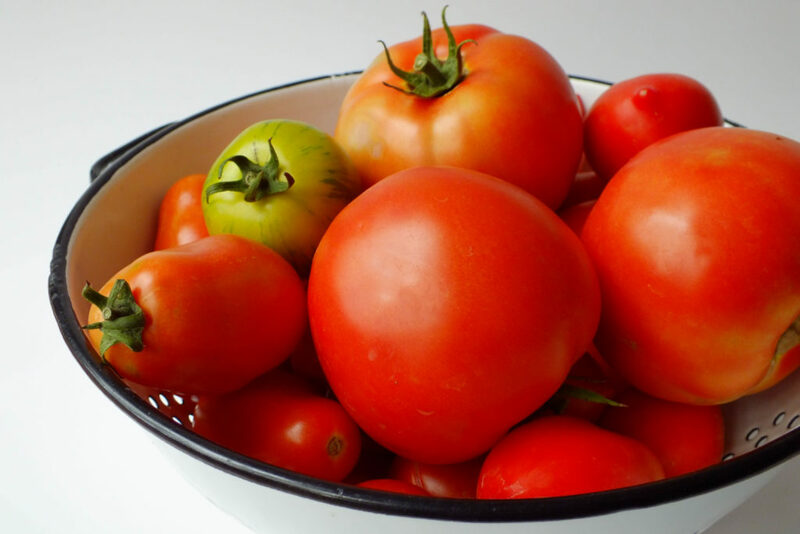 Simply toss your extra tomatoes in a ziplock bag and put in the freezer. That’s it. The skin will come off easily once they are thawed, and they will be good for soups, chili, and sauces. You can freeze hardy herbs such as rosemary, sage, thyme, and oregano in oil for use in the winter. Just chop the herbs and pack into ice cube trays 2/3 full. Pour extra-virgin olive oil, melted lard, or melted, unsalted butter over the herbs and freeze. Store the cubes in a freezer bag or container. 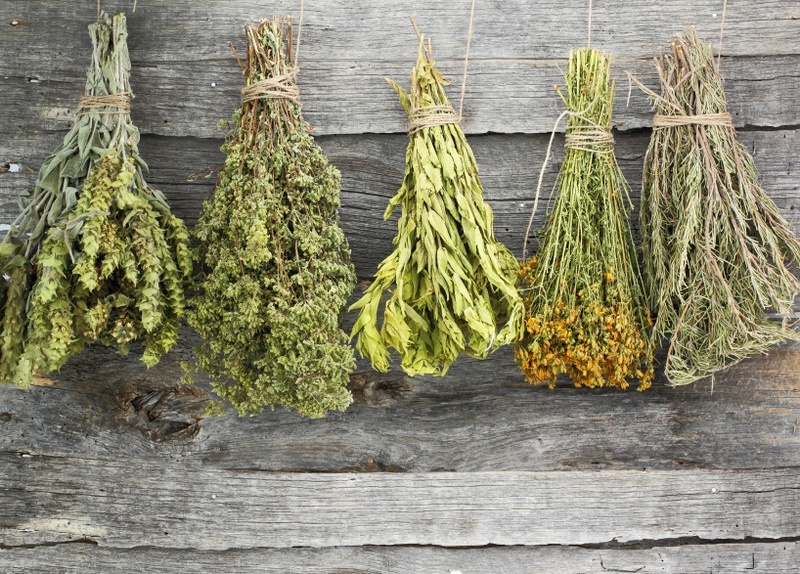 To dry herbs, bundle a clump of herbs together with a rubber band or string and hang them to dry in a dark, warm, dry area. When the leaves are dry, gently remove them from the stems and put the leaves into jars. Store in a dark, cool place. Start with a clean glass jar and tight fitting lid. 2. Place washed and patted dry herbs of your choice in jar, a good handful or several sprigs. 3. Pour white wine, champagne or cider vinegar over herbs. 4. Store in a cool place for 2 weeks. 5. Strain herbs and pour into clean, decorative bottle. Store in a cool, dark cupboard and use within 6 months. 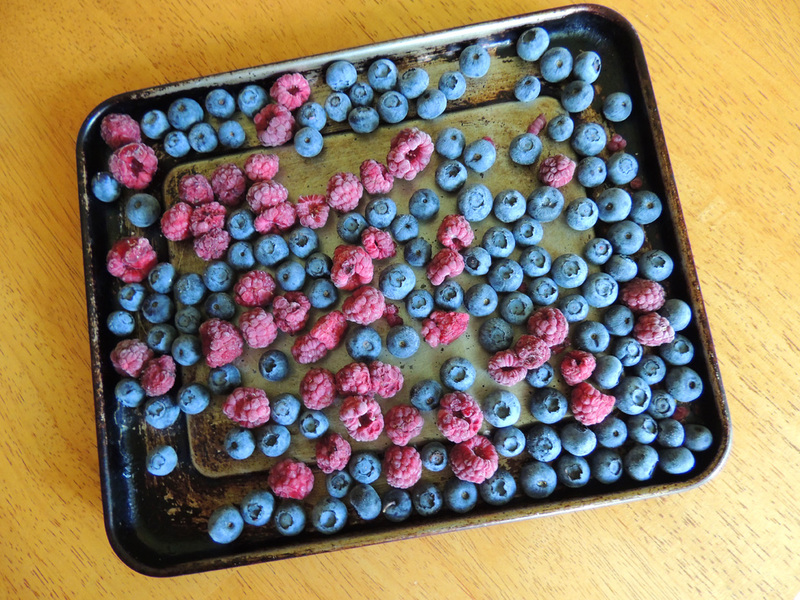 Freeze berries on a cookie sheet and then pour into ziplock bags or containers. 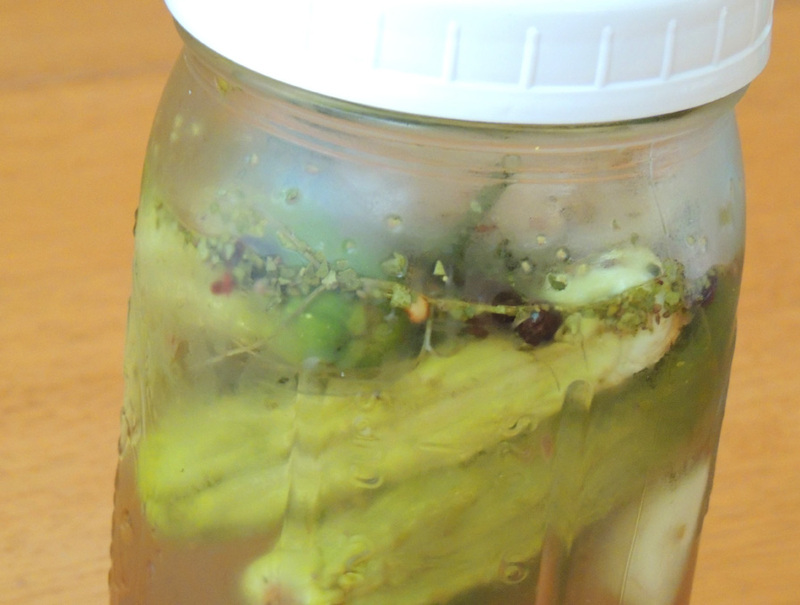 You can make pickles without the fuss of canning. The main difference is these must be stored in the refrigerator. In a large saucepan, combine vinegar, water and salt and bring to a simmer. Pour the hot brine into the jar. Leave ½ inch of headspace. Screw on lids, let jars cool, and place in refrigerator. Let sit for 48 hours before enjoying. Rinse greens well and remove the stems from kale and collards. The stems on chard are okay to leave on. Chop the greens. Bring a large pot of water to a boil. While water is heating, fill another large pot or bowl with cold water and add ice. When water is boiling, add the greens. Blanch for about 2 minutes for chard and kale, 3 minutes for collards, and then remove using a slotted spoon or spider. Place into the ice water to stop the cooking process. Add ice to the cooling water as needed. Drain greens in a colander. 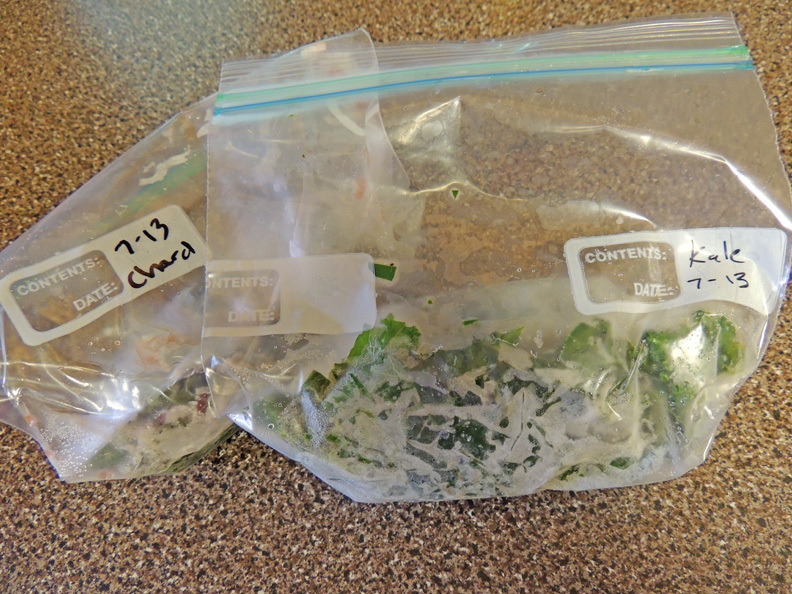 Squeeze some of the excess liquid from the greens and pack into ziplock bags. Remove as much air as possible, label, and store in the freezer. Frozen greens will keep all winter. 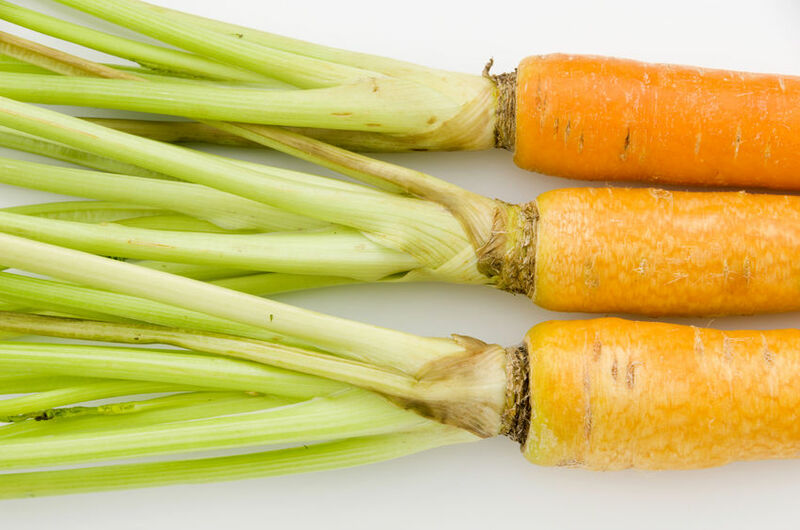 Brush off the dirt but do not wash the carrots. Cut off the tops but leave about an inch of the tops intact. Do not cut the roots either. Place them in a green produce bag or ziplock bag with holes and put in the vegetable crisper in the fridge. Shred medium-size zucchinis with a box grater or food processor. Mix with a little salt, about 1 teaspoon per pound of shredded zucchini and place in a colander. After about 15 minutes, plop the shredded zucchini onto a clean dish towel and squeeze until you’ve extracted most of the liquid. Next, pack the zucchini into a 1 cup measuring cup, and then dump onto a square of wax paper. Fold the wax paper up around the squash and place this into a quart size ziplock bag. Now you have a premeasured cup of zucchini for when you need it later. Culturing or fermenting foods is a time-honored method of preserving the harvest. It’s not only easy to do, culturing makes food more digestible and adds valuable enzymes, something which our modern diets are lacking. You can ferment cabbage, beans, carrots, cucumbers, and many other foods. Oryana offers classes on culturing foods. 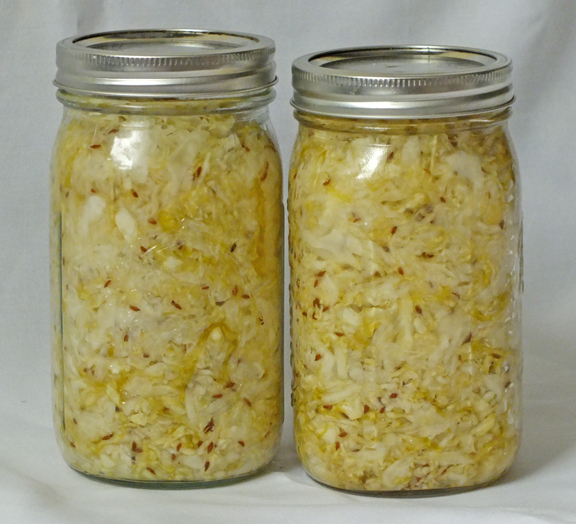 Check out nourishedkitchen.com or try this recipe for homemade sauerkraut.